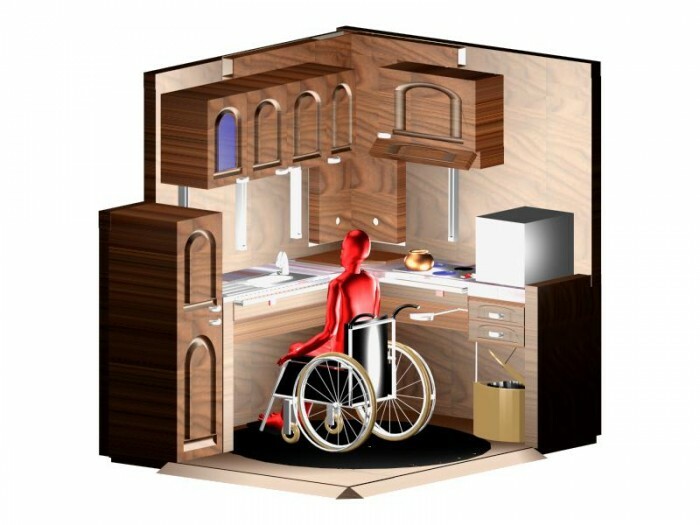 The EASY KITCHEN will appeal to all those people who, being forced to live, to unfortunate circumstances, on a wheelchair, severely dependent upon others. These people in fact, in their daily lives, do not have the freedom to manage themselves on their own, lacking in them part of physical mobility. Performing an 'in-depth analysis of the limits placed on that category of persons, with the intention to facilitate their lives, this project was born, KITCHEN EASY. I would sell the patent or give it with a user license. Page created at 2019-04-21 4:54:26, Patent Auction Time.